It was an exciting win for the UNE community, as not only is Gillian a Masters student; both her parents are also staff members and were there to watch the thrilling race. Gillian spends much of her time competing overseas, so is studying for her Masters of Environmental Science and Management online as one of UNE’s elite athletes. 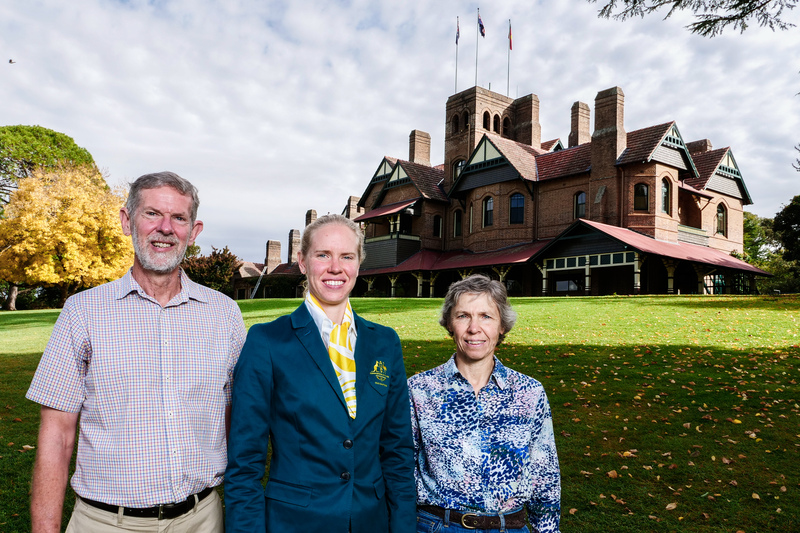 When she’s not in Asia training with her Hong Kong-based coach, she’s generally in Europe racing on the world circuit, so it was a bonus for Heather Nonhebel and David Backhouse to cheer their daughter on home turf. David, an associate professor in agronomy and soil science, said they don’t get to see many of Gillian’s top-level races and he was pleased all her hard work paid off. Gillian completed her first triathlon with the Armidale Triathlon Club in late 2007 and the following year made it into the NSW squad to compete in the schools’ national competition. She completed her undergraduate studies in marine biology and ecology, but “triathlon weaselled it’s way in”. In 2014 she won the Australian championships over the sprint distance and the Australian championships over the Olympic distance, was the under-23 duathlon (run/bike) world champion and under-23 silver medallist in triathlon.